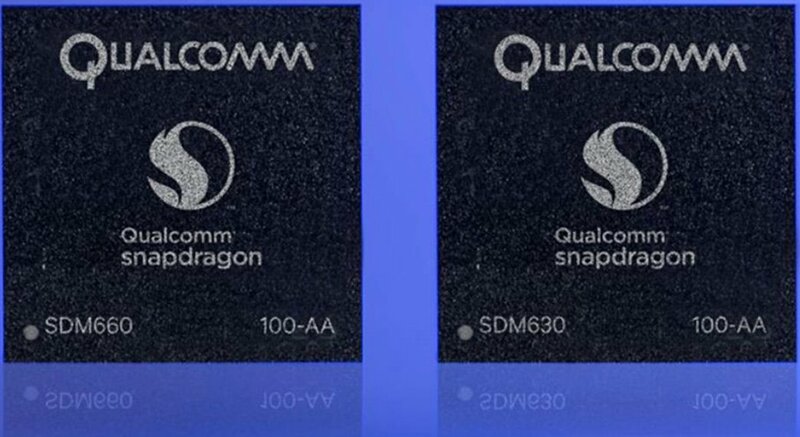 Qualcomm has introduced two new chipsets Snapdragon 660 and Snapdragon 630. 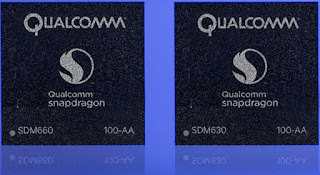 From the Snapdragon 653 to the 660 and the 626 to the 630 Qualcomm Technologies is pumping up its 600-tier mobile processors to include features typically found in higher-tier processors. Snapdragon 630 is the more minor updates of the popular Snapdragon 625, which quickly became an It maintains the eight-core Cortex-A53 breakdown of four high-speed cores and four lower clocked cores, though they are up to 30% faster across the board. And while the graphics chip has also been updated from the Adreno 506 to a faster Adreno 508, the fundamental architecture hasn't changed — both are still built on a 14nm process with support for LTE speeds up to 600Mhz with 3x carrier aggregation; Bluetooth 5.0, Quick Charge 4.0, and USB 3.1 with USB-C; and a better camera experience with the new Spectra 160 image signal processor. Snapdragon 660 has eight Kryo cores, four performance cores at 2.2GHz and four at 1.8GHz, and promises a 30% improvement in speeds over the Snapdragon 653. There's also a new Adreno 512 GPU, which is a nice bump over the 510 in the previous generation, and support for Qualcomm's 2016-era X12 baseband, which includes 3x carrier aggregation for speeds up to 600Mbps. Quick Charge 4.0, Bluetooth 5 and USB 3.1 are also included, too.